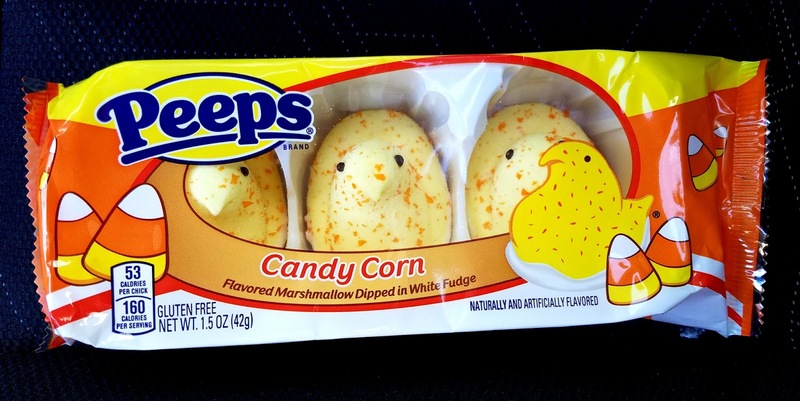 Special edition flavors integrated into Peeps need to be able to blend well with the milky taste of marshmallow. Blend orange in and you have a delicious Creamsicle flavored treat. Mix blueberry with marshmallow and you have a flavor more akin to Blueberries and Cream. 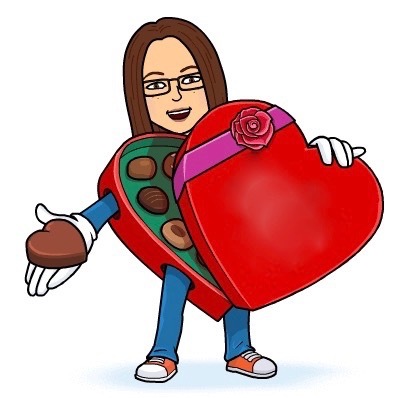 That's great. On the other hand, some flavors just don't naturally blend. The Candy Corn marshmallow is a case in point. Candy corn and cream are not a natural blend. The white fudge just sweetened up the whole thing, which was not needed in the least. 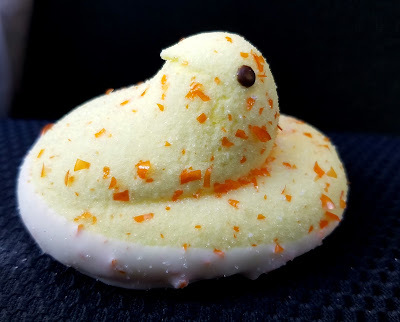 This special blend of Peeps was not for me.